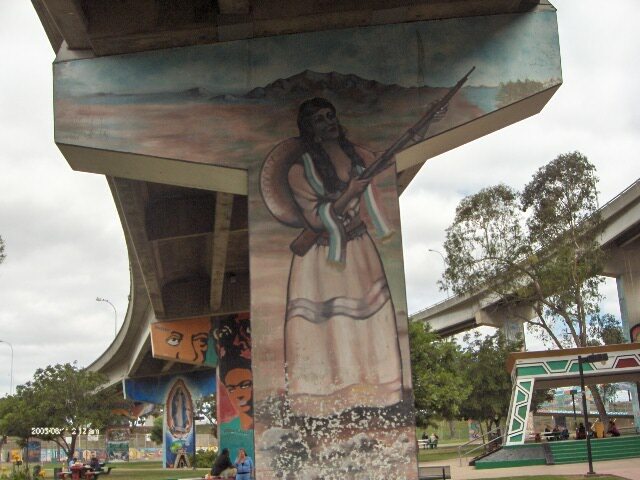 Could Chicano Park Become a National Historic Landmark? Legislation introduced in Congress this week could lead to a study on whether to make San Diego’s Chicano Park a national historic landmark. Rep. Juan Vargas, D-San Diego, authored the bill that, if passed, would have the U.S. Department of the Interior conduct a study to evaluate the park’s national significance and feasibility of giving it landmark status. The park, listed two years ago on the National Register of Historic Places, was born out of community protests against construction of a California Highway Patrol station in Barrio Logan. According to the San Diego History Center, hundreds of area residents demonstrated in April 1970 when construction began on the CHP station, even though they had been promised a park. A dispute over use of the land ended one year later when the state and city of San Diego swapped land. The CHP got property for a station in the west end of Mission Valley, and the Barrio Logan residents got their park. Located underneath the San Diego-Coronado Bay Bridge, the park plays host to a variety of neighborhood events.